With Winter Storm Harper expected to roll into the New England area, we’re preparing our systems and teams, so we can best serve our customers when the weather gets rough. Ice and snow can coat our lines making them heavy and breakable, which can lead to down “drops’’ (the lines that connect to homes from poles) and outages. We’re positioning equipment in strategic locations so our field technicians can go out as quickly and safely as possible to restore affected services. Our trucks are stocked and our technical operations facilities are ready. In fact, we’re already placing back-up generators and extra staff in places like Burlington, Vermont and western Massachusetts. What Happens if there are Commercial Power Outages? Your local utility provider must restore power before Xfinity services are restored and/or technicians can safely begin work on our lines. It is possible that after power is returned to your home, the Xfinity network serving your neighborhood may require further restoration work by our teams. Please know we are committed to getting you up and running as soon as possible. Make sure to protect your devices. Plug your TV, modem and cable box into a surge protector in case of a sudden power outage. In the meantime, if you need assistance, we’re here on My Account, at 1-800-COMCAST or @ComcastCares on Twitter. For more information on storm preparedness, visit https://comca.st/2MgOM7V and visit @ComcastNewEng for news and events. 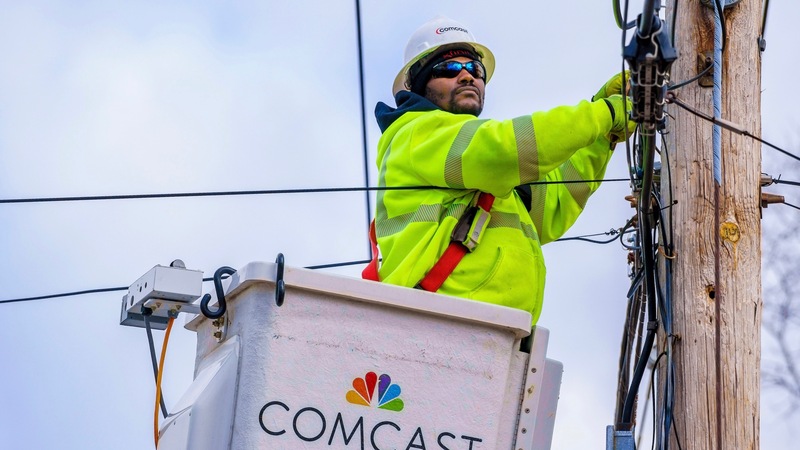 Comcast Business customers also have several options to stay connected during the storm. Learn more here.